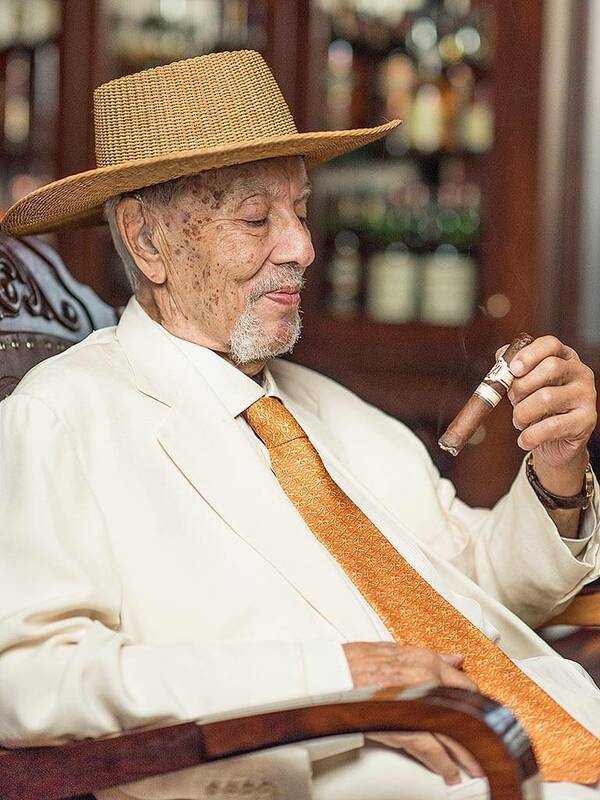 There are three pillars that define the life of the musician and living legend, and join together into a whole, so to speak, like the movements in a symphony: music, his language skills and his passion for cigars. Reinhold C. Widmayer’s joy at meeting Avo Uvezian half a year before his 90th birthday in good health in his hometown of Orlando is great. A while ago, if you’d asked me what my favorite music was, I would have said jazz. But today it’s actually tango music,” muses Avo Uvezian. An hour into the interview, his Syncro Nicaragua Special Toro has gone cold, which he hasn’t noticed in his flood of words. He wields it like a conductor’s baton and indulges in memories. My joy at meeting the legend Avo Uvezian half a year before his 90th birthday in such good health by his pool in Orlando rather than in the hospital, is even greater. His health after his car accident two years ago was a constant cause for concern. His close friends, whom I meet that same evening in the Corona Cigar Lounge on West Sand Land Road, confirm this: “We were extremely concerned for him for a long time,” they tell me. “But now he’s bursting with life again and has us running around left and right.” How closely and harmoniously Avo Uvezian is connected to the cigar scene in what is now his hometown of Orlando is also confirmed by Jeff Borysiewicz, owner of the Corona Cigar Company. I enjoy life, music and cigars … what a fantastic creation! 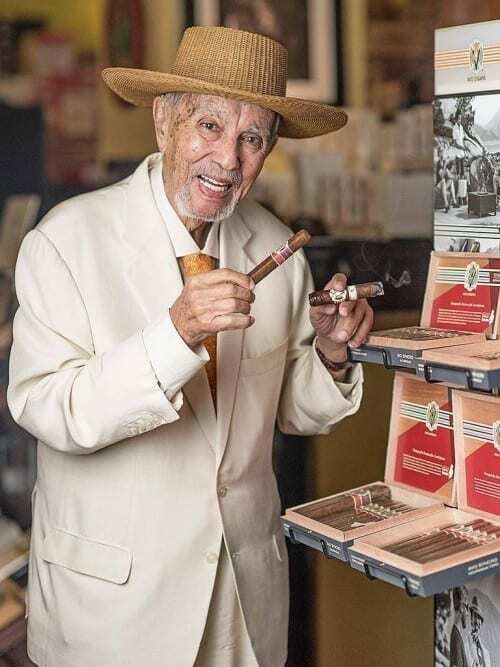 There are three pillars that define the life of Avo, and join together into a whole, so to speak, like the movements in a symphony: music, his language skills and his passion for cigars. Some of the languages and his musical talent were inherited, when he was born on March 22, 1926, as the son of Armenian exiles in Beirut. His parents spoke Armenian; other relatives only Turkish. The official language was Arabic and the classroom language was French. Later he learned perfect English from American, British and Australian soldiers, with whom he played music as a young adult. Then, added through his travels and friends, came an excellent knowledge of Spanish, German, Italian and Farsi. “Sometimes I get the languages mixed up,” he grins. Avo Uvezian’s father, a violinist and a symphony orchestra conductor educated in Leipzig, was his musical mentor.But Avo didn’t stick with classical music professionally. The swing and lust for life of jazz seduced him quite early on. Soon after the death of his father he also had to strive to significantly contribute to supporting his family, and jazz was, as so often in his life, the saving grace. He founded the Lebanon Boys, with whom he played gigs in holiday resorts in Lebanon at first, and then, in 1946 went to Baghdad. “First we drove to Damascus in a car. From there, we took the public bus through the dessert. The bus broke down in the middle of nowhere and, as fate would have it, we were soon surrounded by a group of bandits on camels. While the passengers stayed on the bus, defenseless and helpless, I remembered my knowledge of Islam, which I’d learned from my classmates, and, all alone, I got off the bus, eye to eye with the bandit leader. My first sentence (in Arabic) was: ‘In the name of the Koran we desire hospitality, food and protection.’ And, miraculously, that’s what we got. I’d hit the nail on the head. The only tribute we had to make was my Mickey-Mouse watch, which had caught the eye of the leader. The thieves even put up a tent for us, organized a replacement bus, and then disappeared again, even before help had arrived. I’m only telling you this to demonstrate how important it sometimes is to know about other cultures and religions,” Avo recounts. Under Avo Uvezian, the Lebanon Boys were a sought-after jazz combo in the relevant bars, both at home and abroad. Avo eagerly absorbed everything he could read and find on the genre; played and replayed the music from records, which he got from his aunt in America, and was even mentioned in an issue of the American jazz magazine Downbeat as the first subscriber in Lebanon. There, Avo Uvezian advanced to becoming the entertainer of the shah Mohammad Reza Pahlavi, who ultimately helped Avo to get the coveted visa for the United States. In the year 1971, Avo Uvezian had to go to the Caribbean. 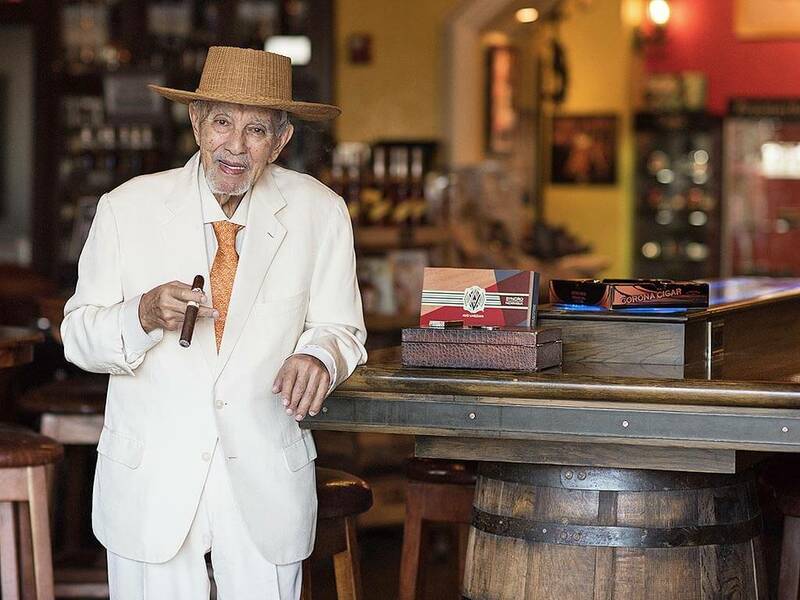 His first wife had died, and, because his father-in-law had left him a small jewelry factory in Puerto Rico, without further ado, Avo moved to the heavenly Greater Antilles. This period of his life lasted 13 years. 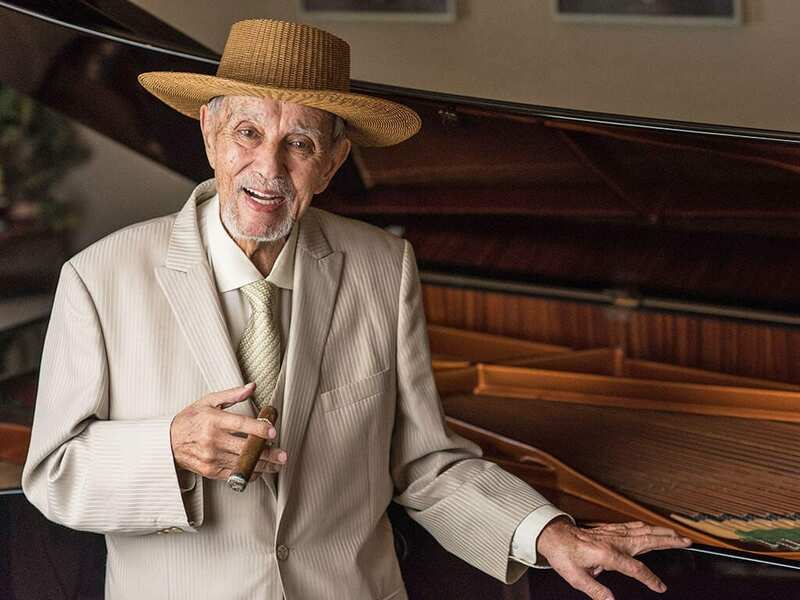 For Avo, it represented the springboard into his second marriage, a solid income as a pianist in the Palmas Del Mar resort, good business in the real estate industry, and, eventually, the start of his career in cigars. The first meeting with Hendrik Kelner and Eladio Diaz took place in the 1980s in Santiago de los Caballeros, where Kelner had built a small manufacture with some friends. Their cooperation was quickly sealed, the right blends soon found, and, in addition to that, a deep friendship developed between the kindred spirits. With his meager capital, Avo ordered more and more cigars, which, at his evening performances became more and more popular. My cigars were selling so well that Davidoff then took over sales. The first sustainable success of his brand, AVO, occurred after he had sent a test sample to the Davidoff boutique that opened in New York in 1987. 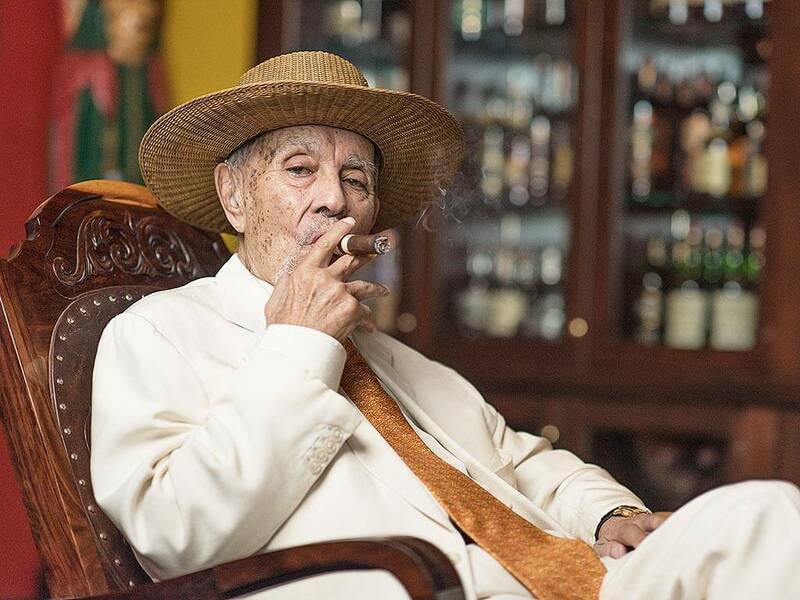 “My cigars were selling so well that Davidoff then took over sales.” In the first year, they sold 125,000. Not much later, it was several hundreds of thousands of cigars. 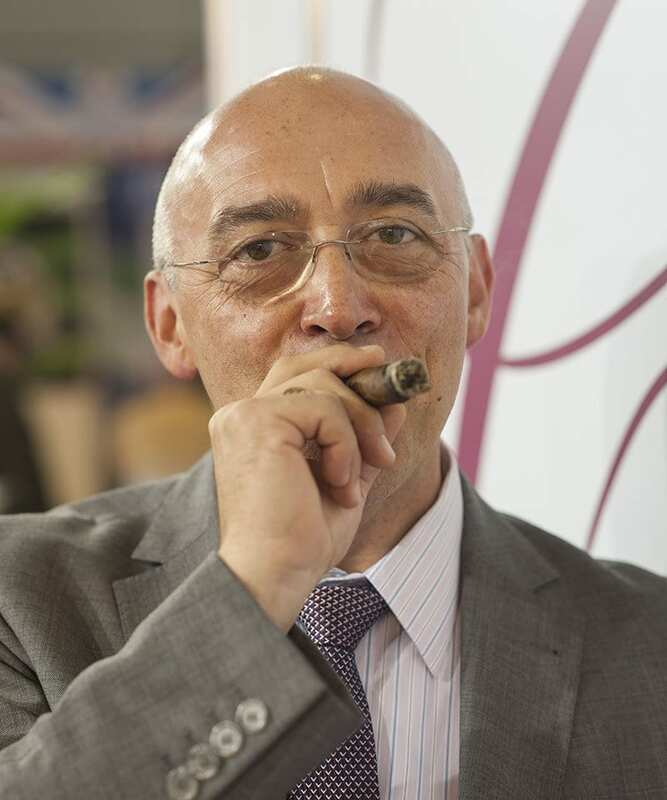 In light of such an outcome, it didn’t take long for Dr. Ernst Schneider of the Swiss Oettinger Imex AG (the owner of Davidoff) to knock on Avo Uvezian’s door and offer the aspiring cigar producer a similar deal to the one he had offered to Zino Davidoff years earlier. Henceforth, although Avo Uvezian’s name and his ideas stood at the top of the brand, the owner’s rights went to the Swiss family company. “Yes, it was good business for both parties,” states Avo. “And for the brand AVO it was the beginning of new heights.” And, indeed, alongside the brands Davidoff and Camacho, today Avo is one of the three most important of the entire cigar portfolio of Oettinger Davidoff AG. In Europe, the boom for AVO cigars really set in after the founding of the AVO Sessions music festival at the end of the 1990s. The indoor festivals in Basel, organized by Matthias Müller, were highlights for music and cigar friends alike, and brought numerous international stars to the Rhein, some of whom Avo Uvezian also played with. Today, on YouTube you will still find fantastic videos of the high-quality performances. But, as none of us like to remember, 15 years later, the anti-tobacco legislation stopped sponsoring this event series. Yet this had no effect on the euphoria surrounding the cigar brand. In 2003, the Swiss businessman Otto Fischer established the first ever AVO Lounge; others followed in Europe, in the USA, and Puerto Rico. In the meantime, the brand AVO encompasses five regular series called Classic, Domaine, XO, Heritage and Syncro. In addition, since 2001, an annual limited edition has been issued to honor their charismatic namesakes. All the cigars of the brand AVO are hand-rolled by OK Cigar Corp. Inc. in Santiago, Dominican Republic. The first creation of Avo Uvezian in collaboration with Hendrik Kelner, long before the first Dominican Davidoff cigar. A mild smoke, creamy and cedary. Of the five tobaccos, a filler tobacco is continually aged over a period of 25 years. Launched to mark the 10-year anniversary in 1998. The filler tobaccos originate from Avo’s own plantation in the Dom. Rep. (hence the name “Domaine”). The wrappers from Ecuador are fermented a second time in the Dom. Rep. A rather full-flavored cigar with finesse. 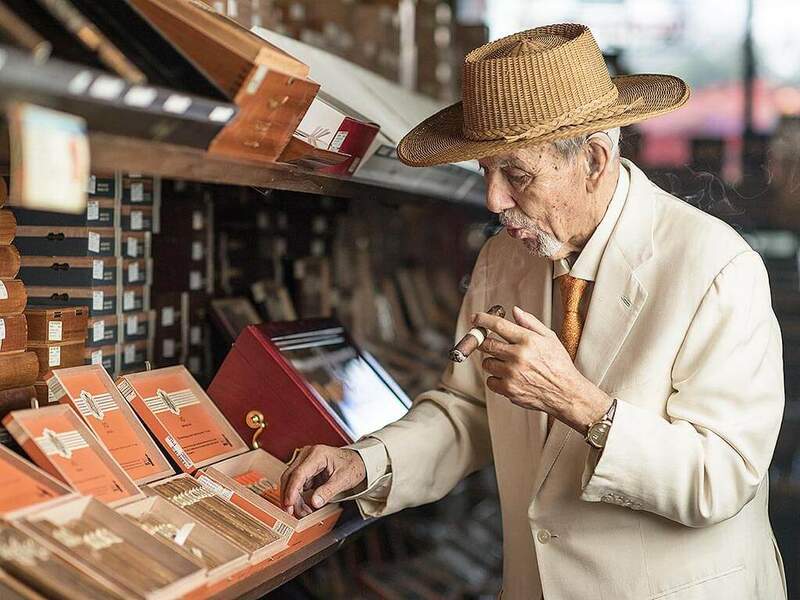 A tangy, medium-bodied cigar line with musical names throughout such as Trio, Quartetto, Serenata, Intermezzo or Allegro – inspired by Zino Davidoff, who named his cigars after Bordeaux wines, like Chateau Margaux, Chateau Yquem. Launched in 2010, this line is characterized by voluptuous woody aromas, roasted coffee, as well as delicate pepper. It is full-flavored and spicy with a creamy smoke; delicate nutty aromas give it a rounded profile. Seven tobaccos are used in this cigar. It is medium-to-full-bodied. The youngest of the AVO cigar lines was presented in 2015 in the USA, for the time being, four box-pressed Vitolas, and will be introduced worldwide in 2016. An AVO Limited Edition cigar has been introduced annually since 2001. This year, it is the AVO Classic Covers 2015 Limited Edition.